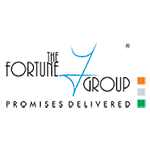 The Fortune Group has roots in Fortune India, a Company established by Mr. Mohammed Farooq in 1995. From this modest beginning, the Fortune Group has grown remarkably to our present stature. Committed to our credo of "Promises Delivered", the Fortune Group has been striving to delight customers by consistently adding value, raising the quality bar and surpassing expectations. The strong spirit of innovation that drives the Fortune Group has seen us venturing into new worlds, diversifying into new areas of growth from technology and bottled mineral water to hospitality and hatcheries. We are known and respected for our rock-solid values, our transparency, our sound business ethics and our complete customer-focus.